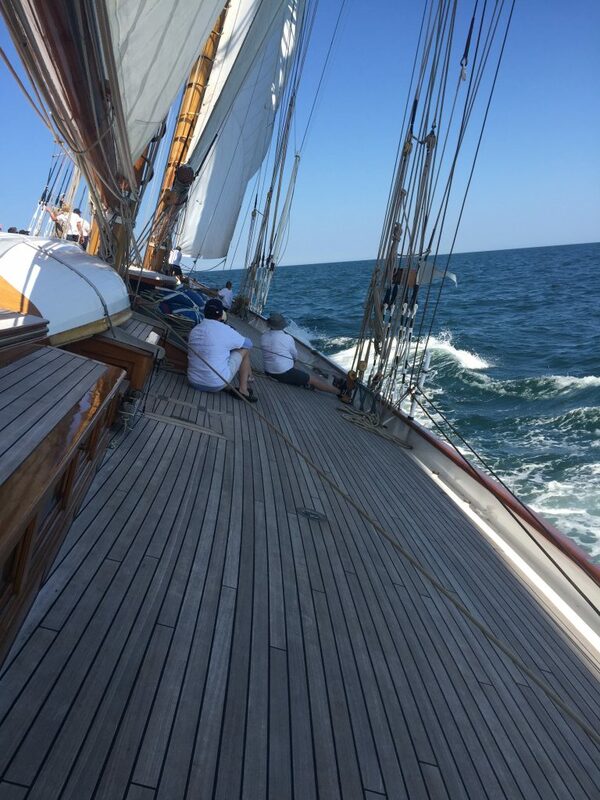 Sailing on the Eleonora during the 2017 Panerai Classic Yachts Challenge North America in Nantucket during the Opera House Cut Regatta. 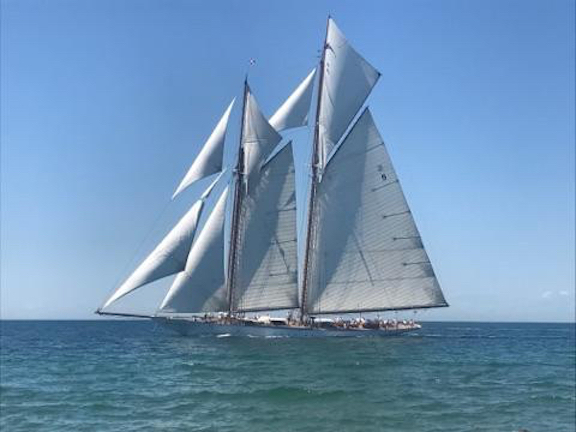 Nothing is as invigorating as spending a day on the water aboard one of the most beautiful schooners in the world – except spending the day racing on the water. Just a couple of weeks ago, I had the most unique experience of sailing in Nantucket during the 2017 Panerai Classic Yachts Challenge aboard the largest schooner in the Opera House Regatta: Eleonora. And, I got to wear one of the newest Panerai Luminor 1950 PCYC 3-Days Chrono Flyback automatic watches throughout the race. Officine Panerai has long been involved in the underwater world. This is the brand that built wristwatch instruments for the men who manned the underwater torpedoes during World War II. In fact, in early 1936, the Italian Navy tested the first-ever military diving watch – produced by Officine Panerai. Since then the Italian-designed, Swiss-made watches have been associated with the nautical world. Panerai has accompanied many a deep-water diver on expeditions and explorations. When it comes to sailing, Panerai has been involved in regattas around the world for decades. In 2005, Panerai became the title sponsor of the global series of races known as the Panerai Classic Yachts Challenge. This year, the 13th year that Panerai is involved, the regatta consists of 10 races. It began in Antigua, then moved on to Isle of Wright, the Mediterranean and North America. In fact, the Panera Classic Yachts Challenge North America grew in size to five races. 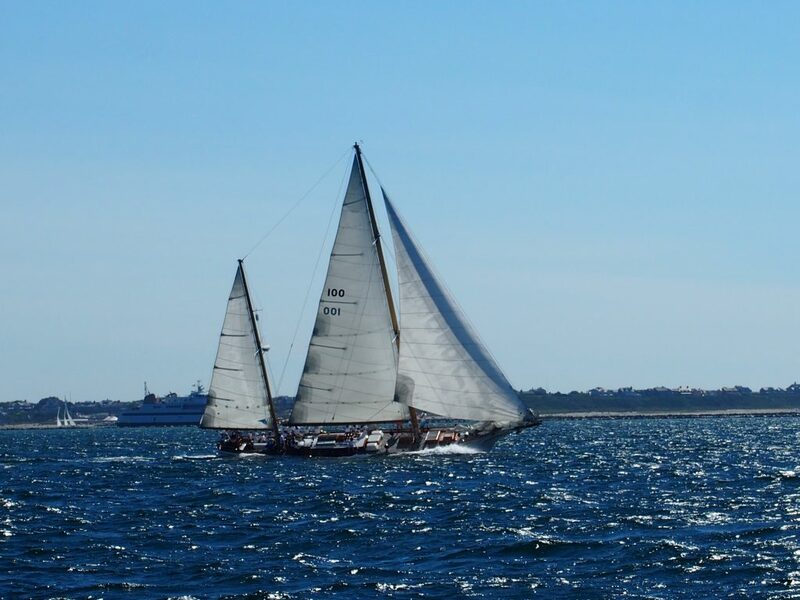 New this year to the PCYCNA circuit, which includes the Corinthian Classic Yacht Regatta in Marblehead, MA, the Nantucket Regatta and Opera House Cup Regatta in Nantucket MA, the Newport Classic Yacht Regatta in Newport, RI, is the Herreshoff Classic Yacht Regatta in Bristol, RI. The PCYC races attract about 200 yachts from around the world that compete in different categories and divisions and vie for the trophies. I joined Panerai in Nantucket this year, where monsoon-like rains and winds put a damper on the first day’s sailing. However, the skies were clear and sailing was great on the day I got to join the races. 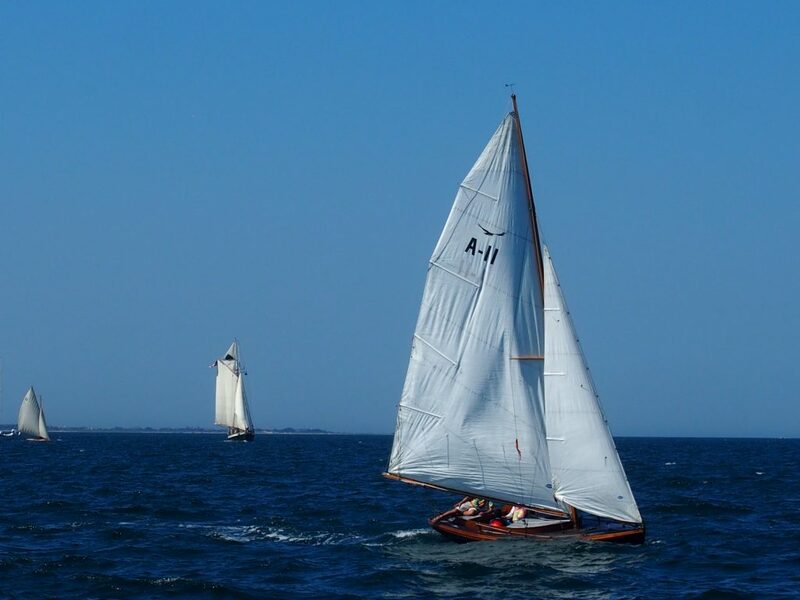 For the 45th annual Opera House Cup Regatta, where all-wooden single-hulled classic boats compete, 65 boats participated in this oldest US wooden boat regatta. 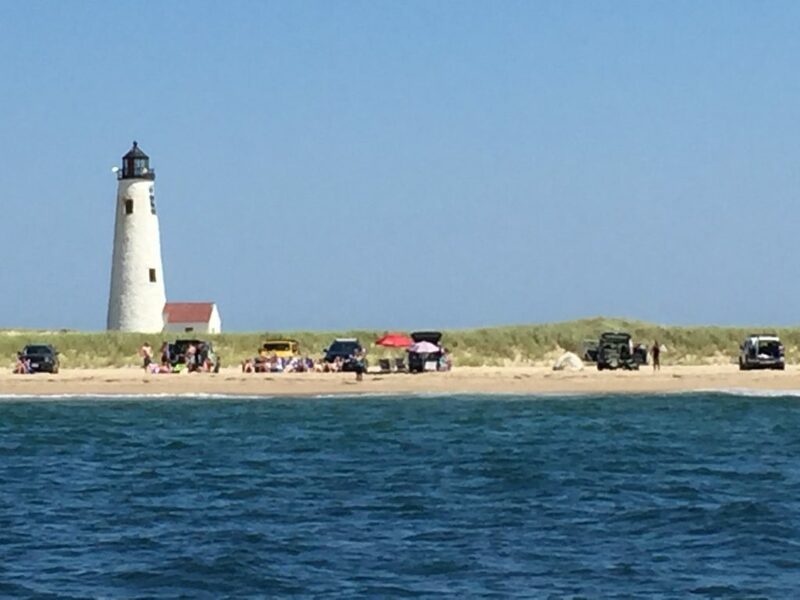 With more than 10 knots of wind, the course was set as a 20.3 nautical mile race off the island on Nantucket Sound, wherein we would sail incredibly close to Brandt Point and very nearby a shallow shoal. 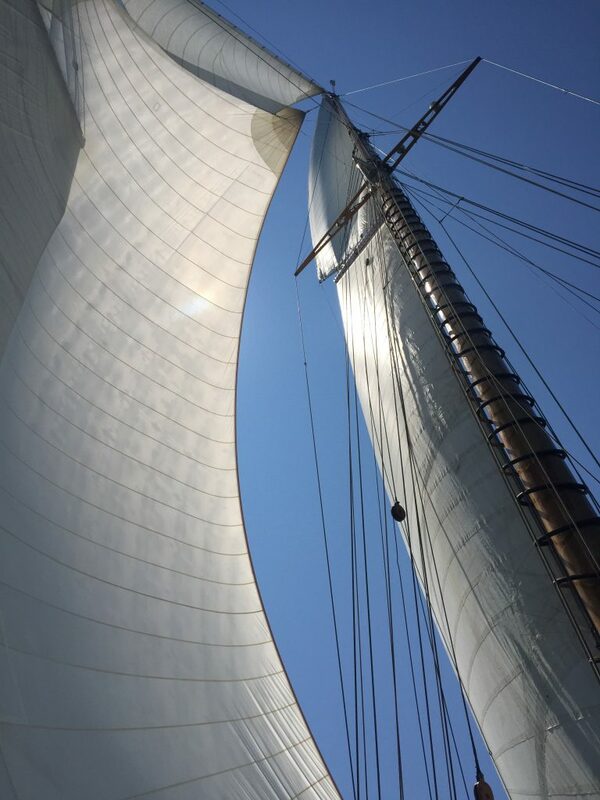 For this day’s race, I was aboard the Eleonora — the largest schooner on the water. Eleonora was docked out in the harbor, as she was too large to sail into the marina. As such, our day started much earlier than other racers, because we had to take a boat out to the Eleonora and because she is so large, with so many sails that the preparation work for the sailors is incredibly time consuming. As such, even though the race was only about 2-1/2 hours (for us to complete), we were on the water just about nine hours in total. 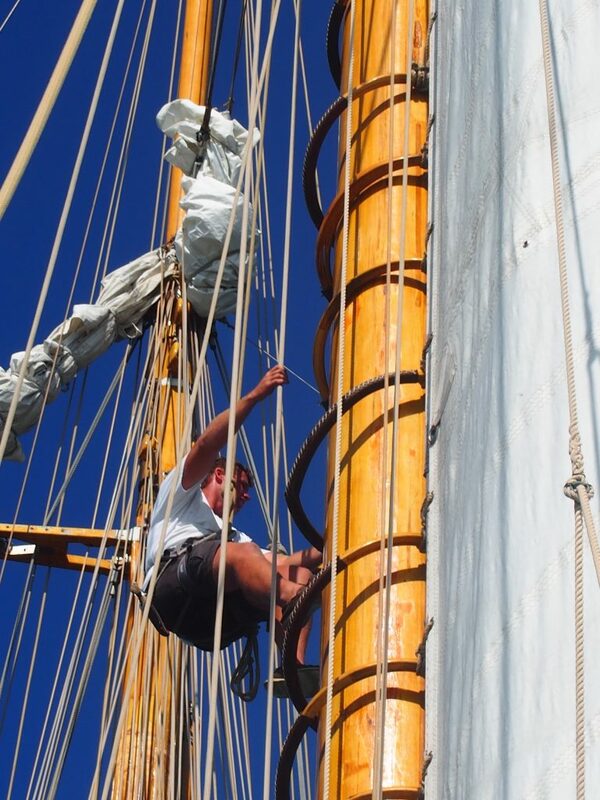 Not being a sailor, I made sure to stay out of the way as riggings were going up, sails were hoisted and other prep work was done on the 160-foot schooner. Once we were underway, I worked hard to lean to the proper sides during racing and take photos at the same time. At certain points in the race, the large schooner was at what seemed to be 90-degree angles to the water, often taking water on the sides. It was an exhilarating race, and we were fast, despite a minor tear in a sail. After Eleonora completed the race, as we sailed back to our docking point in the harbor, I had some time to talk with the schooner’s owner, Zbynek Zak. We will bring you more information about the 7.9- million Euro Eleonora, which is currently up for sale, and an interview with her owner soon. At the end of the day of racing, the Opera House Cup Awards party took place as the sun was setting at Jetties beach. 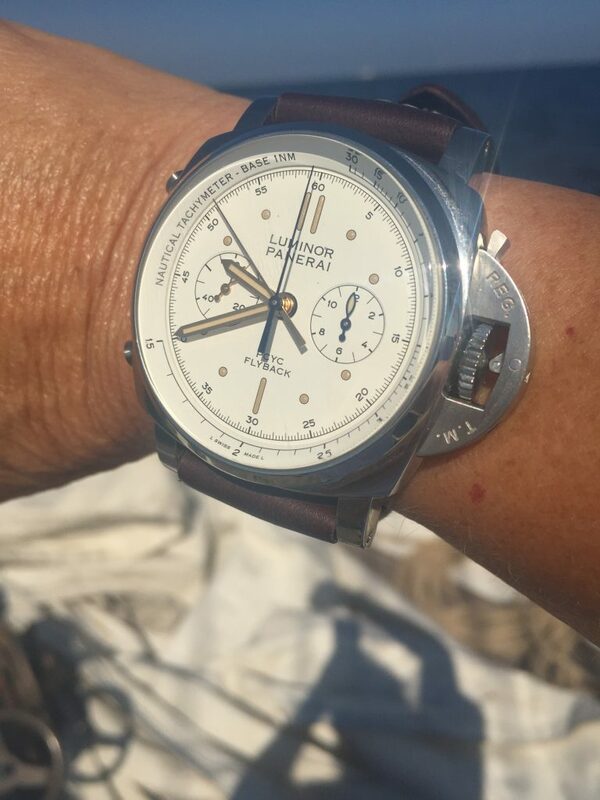 Winners of the Opera House Cup Regatta not only won the famed Cup, but also, the “best performing” yacht winners were awarded a Panerai watch. Stay tuned, here, too because next week we bring you a close-up look at the new Panerai Luminor 1950 PCYC 3 Days Chrono Flyback Automatic Accaiaio 44mm and the Panerai Luminor PCYC Regatta 3 Days Chrono Flyback Automatic Titanic 47mm.